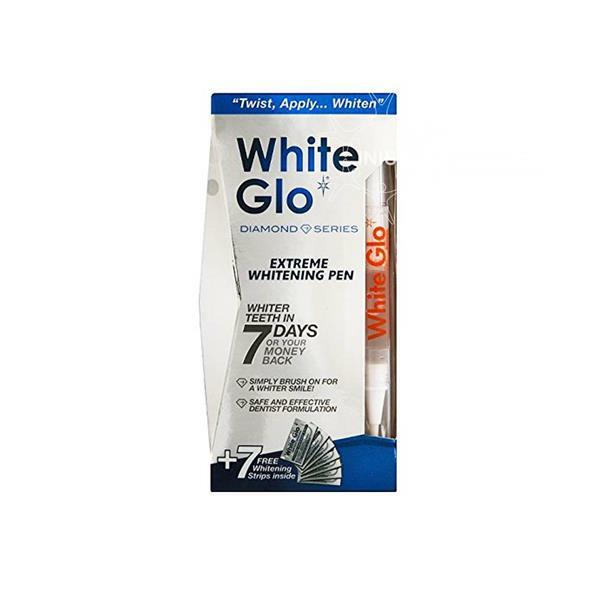 The White Glo Diamond Series Whitening Pen comes also with 7 free whitening strips. This whitening pen and strips helps to restore your teeth to their original white condition. With one easy twist the pen dispenses the gel onto the brush and leave for 10-30 minutes. Both the strips and pen are safe and effective as well as peroxide- free.